Product prices and availability are accurate as of 2019-04-16 01:28:28 EDT and are subject to change. Any price and availability information displayed on http://www.amazon.com/ at the time of purchase will apply to the purchase of this product. 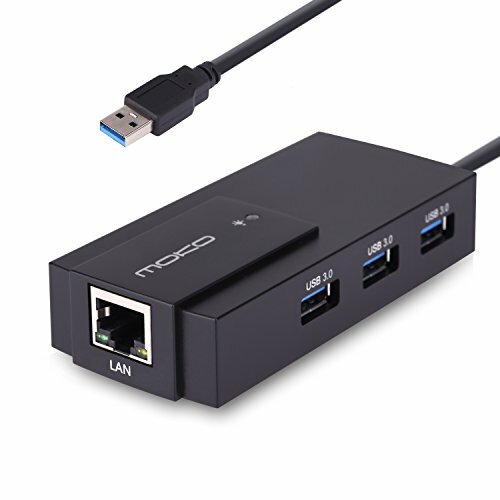 Functionally charging and transferring data simultaneously, 3-port USB 3.0 hub supports transmition rate up to 5Gbps. For low line resistance and thermal shielding, the constant power supply and signal transmission ability reach up to twice what the USB 2.0 can provide. One gigabit ethernet port is accessible to stable and efficient network connection. To ensure a stable connection, don't use this hub with high power consumption devices (those exceeding a combined current of 0.9 Amps among all ports) such as some large-capacity hard drives. Compact and functoinal design with pocket size reveals exquisiteness and utility. Super speed USB 3.0 port enables data transfer rate up to 5Gbps. Backward compatible with USB 2.0(High Speed 480Mbps),USB 1.1. 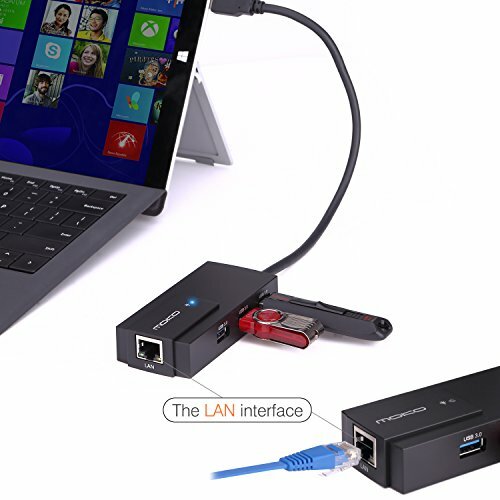 (Full Speed 12Mbps), Gigabit Ethernet Adapter with speed of 1000Mbps ensures stable connection, more faster than wifi, backward compatible with 10/100 ethernet. 3-port external USB are hot-swappable,allowing for plug and play. Synchronously fast charging and transmiting data information, Ultra performance make connection in a breeze. 1-port RJ45 supports IEEE 802.3az (Energy Efficient Ethernet), wake-on-LAN power management. Compatible with the Win 7/ Win 8/ XP/ VISTA/ MAC OS without installing drive. (MAC OS can not work if latest update not applied.) Built-in over-current protection to guarantee safety of both connected devices and the hub itself from unforeseen power surges.